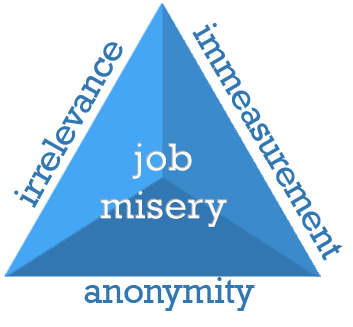 In Patrick Lencioni's book "Three Signs of a Miserable Job," anonymity, irrelevance, and immeasurability are identified as sources of unhappiness at work. This sermon explores how God doesn't want anyone to be miserable, in a job or in life. Listen in to find out how we've been created to be known, created with a purpose, and then shown how to be part of God's plan.